A clever mix of two things that have always gone together: punk rock and veganism. 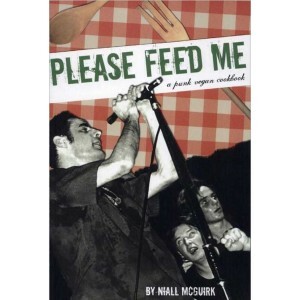 Each recipe features an anecdote by a band that performed at the Hope Collective, a popular punk venue in Dublin which the author helped maintain for over a decade. The book features contributions from over 120 people who donated their vegan recipes and thoughts on the importance of the punk rock community and culture, including stories from seminal punk bands such as Fugzi, Bikini Kill and Chumbawamba.